Fructose malabsorption occurs when the carriers in the small intestines, usually assisting in the absorption process of fructose, are deficient. The end result is an increased concentration of fructose in the entire intestine. This build up results in the reduction of the absorption of water in the large intestine. The fructose is then metabolised by colonic bacteria. This results in the development of the byproduct gases hydrogen, carbon dioxide and methane, and in turn, some very painful and disruptive symptoms.The abnormal increase in hydrogen is what is detectable with a hydrogen breath test; the diagnostic test for fructose malabsorption. The changes that are caused in the gut due to poor absorption of fructose also results in poor absorption of short-chain carbohydrates (other sugars). In plain terms, the guys that are meant to carry fructose across the small intestine wall are not doing their job properly in a Fruct Mal. Fructose can then travel further down the intestine than the body is designed to cope with. Other processes in the gut are then disrupted. The normal bacteria that is in the large intestine has a party, feasting on the fructose that has made its way to them. These bacteria then produce gases that are not meant to be in the large intestine. This results in a very unwell, very miserable Fruct Mal. The diagnostic breath test involves drinking large amounts of fructose, and then blowing into bags multiple times over a few hours. The bags capture any hydrogen that is exhaled, and the increasing amounts confirm fructose malabsorption (although I could fairly accurately confirm my own diagnosis as I sat breathing into bags with increasing stomach pains as the fructose drink made its way down!). There is currently no cure for fructose malabsorption. The only way to improve symptoms is to restrict the intake of free fructose. Fruct Mals should also avoid foods that contain fructans, and other FODMAPs (Fementable Oligosaccharides, Disaccharides, Monosaccharides and Polyols (such as sorbitol, xylitol, and other polyols that end with -tol)). Glucose assists the absorption of fructose, so is valuable to most fructose malaborption sufferers. Free fructose is any amount of fructose that is higher than the amount of glucose in a food. Being a Fruct Mal, it is best to eat foods that have an equal or less amount of fructose than glucose. Hence an apple is a big no no fruit for a Fruct Mal, with a much higher fructose to glucose ratio, whereas berries are safer fruits due to a higher glucose to fructose ratio. One trick to have is to keep a box of glucose tablets on standby, or a glucose drink like Lucozade (both found in chemists and most grocery stores). Consuming these before eating a meal with fructose can assist the digestion of the meal. This is really helpful in situations where you can not avoid some fructose. I recommend keeping it as an emergency plan, as consuming glucose, which is still a type of sugar, just so that you can eat a meal with another type of sugar, fructose, is not a healthy mindset to get into! People with fructose malabsorption can absorb less than 25g per sitting of fructose (tolerance differs from person to person). Healthy people can absorb up to 50g of fructose in a sitting. The symptoms of fructose malabsorption are not pretty. They can include bloating, diarrhoea, vomiting, flatulence, early signs of depression, nausea and severe stomach pain. Unfortunately, this all means monitoring not only the types of foods you consume, but also the amounts of each, the combinations of foods in a sitting, and the time between the consumption of food. My mind is constantly taking note of what I have eaten, how long ago I ate, when I need to eat next, what foods will be available then which impacts what I should eat now, how much I have eaten, and on and on! I should carry a clip board with me! Often people with fructose malabsorption have other intolerances, such as lactose intolerance. I am particularly lucky, as I combine an intolerance to dairy, egg, peanuts, wheat, gluten and grains with my fructose malabsorption! 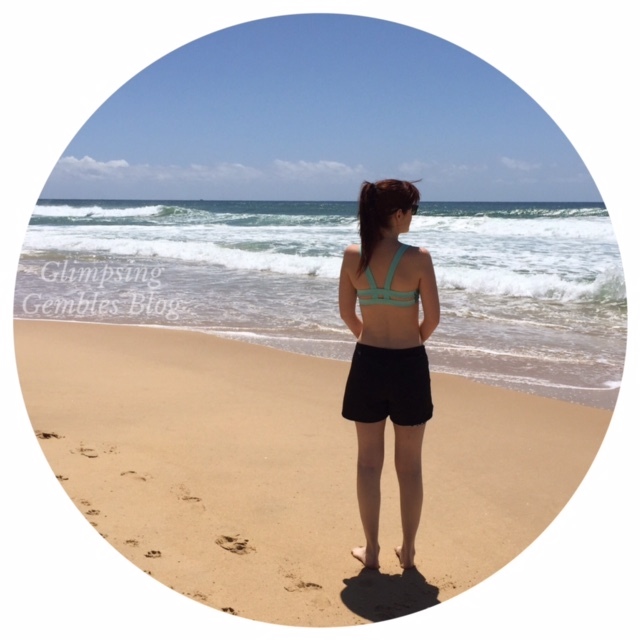 But as I have written on my blog before, food intolerances are manageable! Trust me, I know what it is like to come from the doctor’s office with a massive list of foods to avoid, and to be absolutely overwhelmed with the idea of having to find a food that is actually not on that list! Check out the recipes on my blog for inspiration, and I will continue to post more and more as I develop them. If you are reading this and you are not a Fruct Mal, please, please keep in mind that it can be developed. There is not enough research to know exactly why it occurs as yet, but our society’s high fructose diets are certainly not helping. Be mindful of the fact that fructose is no good for anyone, it is just that Fruct Mals get a more immediate and obvious response.